Compassion Fatigue in Veterinarians and Pet Professionals is Real! Did you know that Compassion Fatigue in Veterinarians can lead to burnout if not managed in a healthy way? Did you also know that dog trainers, groomers, Humane Society personnel, etc. do as well? If you are a professional dog walker, animal rehabilitator, doggy day-care owner, rescue worker, or anyone who takes care of animals in some way please read on. Do you have a client that just received the news their pet is terminally ill, has died tragically, or is dealing with pet loss grief? And how many times have you had to deliver the news yourself? You don’t know what to say, but you want to be compassionate and helpful. You are literally either lost for words, feel like you said the wrong thing or would like to be more effective when delivering the news. Compassion Fatigue in Veterinarians and Pet Professionals ~ Think about this..
As a pet care professional, it is critical to have a general knowledge of how to help your clients when they are faced with pet loss grief. With the pet industry growing every day you will be faced more and more regularly with how to address pet loss with grace and compassion. With this increasing growth in your industry, there will be more demands on you and your business. It will be essential to make it a daily practice to take care of yourself. Compassion fatigue and burnout are real, and they both have a way of sneaking up on you. Dealing with euthanasia, sudden death, dying issues, the loss of pets, and your own grief can upset the balance in your personal and professional life. I wrote a book called The Pet Professional’s Guide to Pet Loss: How to Prevent Burnout, Support Clients, and Manage the Business of Grief that will give you the background knowledge of the workings of pet loss grief. Whether you are a veterinarian, veterinarian tech, dog walker, animal communicator, groomer, or pet sitter this book will cover some of these topics. Adding pet loss grief support to your business. But let’s talk in more detail in regards to compassion fatigue in veterinarians and other pet care professionals. 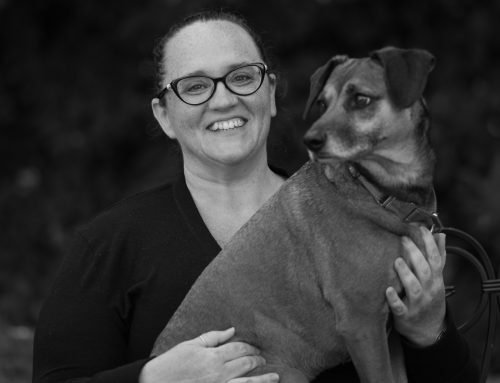 If you are a pet care professional and want to do the best you can to manage pet loss grief for your clients there are three aspects of your journey. It is important to look at these three goals to begin to create your emotional emergency first-aid kit that will support not only you but your clients as well. 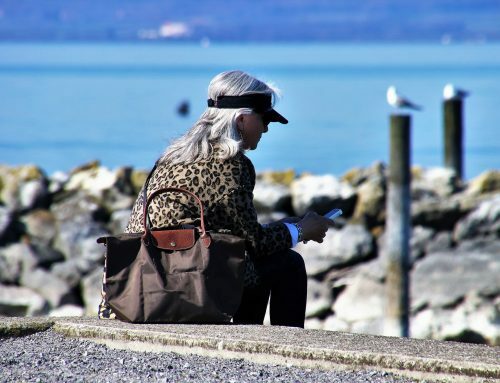 These goals will help you understand and acknowledge that your relationship with your grief and your clients is important for career longevity. Compassion fatigue in veterinarians and other pet care professionals is real so please don’t delay in taking care of yourself. Let’s begin by creating your personal pet loss grief plan. What are the things you need to learn and do? Here are 4-things to know immediately and before you do anything else. Become familiar with normal and abnormal grief. Understand it from your perspective as a professional and from the perspective of your human clients. Grief is a rollercoaster ride. When you know the 7-stages you will understand the magnitude and importance of the grief process. 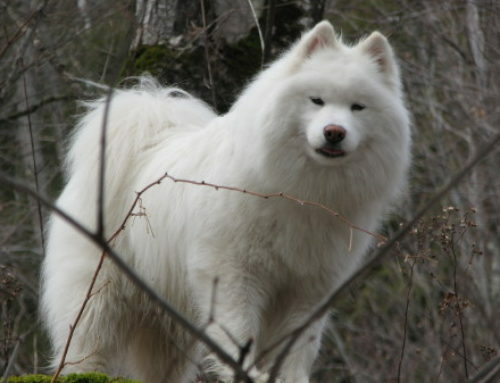 As a pet care professional, it is important to not perpetuate common myths. This is important for your own health as well as your clients. Grief has a beginning and a.middle, but it doesn’t ever fully end. Grief has a life of its own that can be recognized and managed. Secondly: 5-things to consider and act upon after you are familiar with the nature of grief. Grief is raw and as people, we can say unintentional yet unsupportive things. Learn what those common phrases are and change the way you say things. At some point during the grieving process, a new normal is discovered. When you can recognize a new normal it will help the process. Compassion fatigue in veterinarians and other pet care professionals is real. When you deal with your past losses this will help put your emotions into perspective. When you come up with a plan to take care of yourself first, your compassion fatigue and potential burnout will not have a chance to take over. Learn about your own personal feelings about how you feel about death and dying. When you have this knowledge it will make the rollercoaster ride a little less intense. 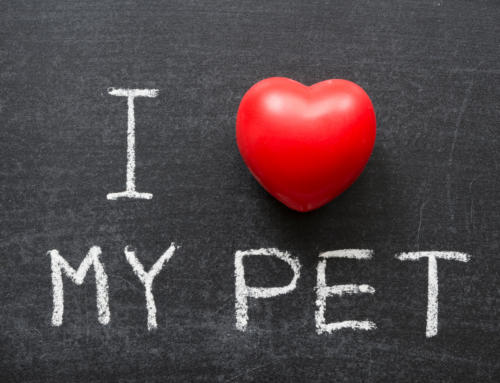 As a pet care professional, you already know that you will lose animal clients due to accidental death, longer-term illnesses, and old age, despite your best efforts and compassion. You are then exposed to the emotions of your human clients. This is where it is important to learn about ways to become more aware of yourself in terms of death and dying. We are now going to explore how you can incorporate pet loss grief support in your business. There are varying approaches in which you can add this service. It depends on your type of business, your training, and your goals for your business. Ask yourself, “Is Pet Loss Grief Support right for my business?” You want to be sure it is a good fit for your business purpose. Learn about the difference between professional pet loss coaching and psychotherapy. And again choose your educational path accordingly. There are foundational building block principles for coaching that I teach my students in my training program. These principles offer support and a safe place for people to express their pet loss grief. One of the ultimate acts of kindness you can do for your clients is to follow up with them. When you check in with them after the death of their pet and beyond, it shows your human client you care. As a pet care professional, pet loss and the grief that comes with it are regular parts of your career. In my experience, pet care professionals forget to take care of themselves. Since you are in a caring profession, the desire to help others before you help yourself is a common but detrimental tendency. The Pet Professional’s Guide to Pet Loss was written as a comprehensive guide for all pet care professionals. It is your resource to gain a basic knowledge of—grief and loss, self-care, how to support your clients within your scope of practice, and the business of grief. 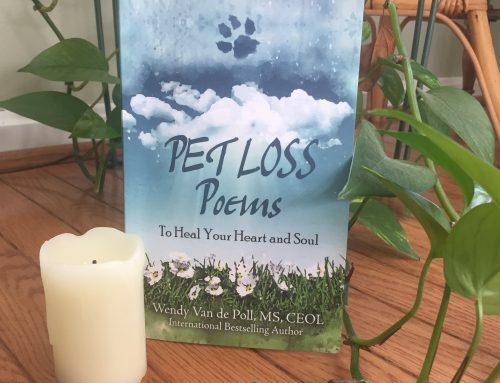 I also include a free gift, Free Pet Loss Grief Resources Packet that you can access at the beginning of this book or at the book’s end in the resource section, and then download from there. This packet has useful “cheat sheets” you can print out to have ready for when you need to access the information quickly. As a pet care professional, I encourage you to begin reading this book right now, so you can put that new knowledge and the given tools into effect immediately. Each chapter has been crafted to make you into a pet care professional who is more compassionate, knowledgeable, and end-of-life safe. Remember Compassion Fatigue in Veterinarians and Pet Care Professionals is REAL!